moving luggage, showing guests to their rooms and acting as a concierge. 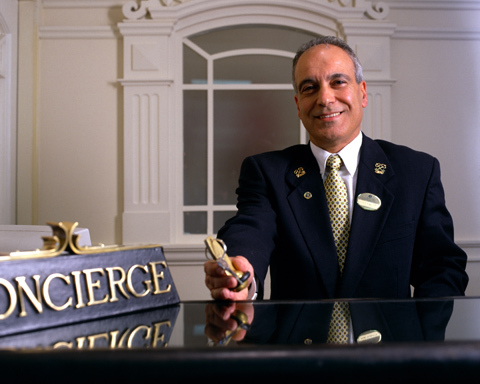 The job of a hotel concierge is to ensure guests have everything they need during their hotel stay. These needs may include anything from arranging transportation to the airport, to reserving dinner reservations at the finest restaurants. 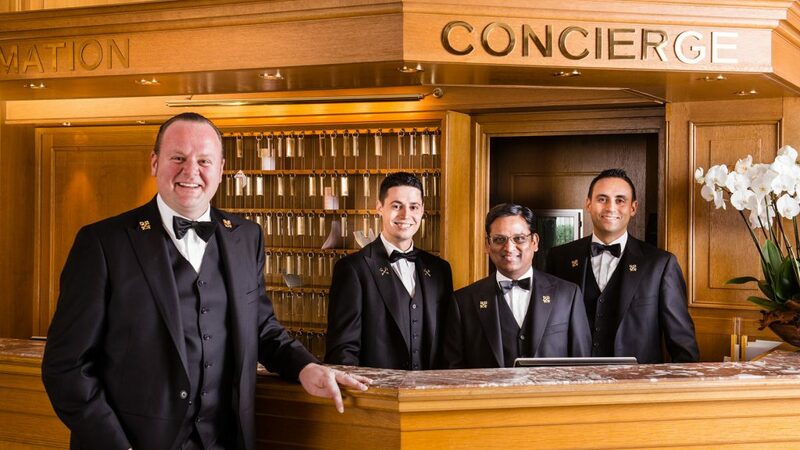 In the large hotels Bellboy assist the Concierge. 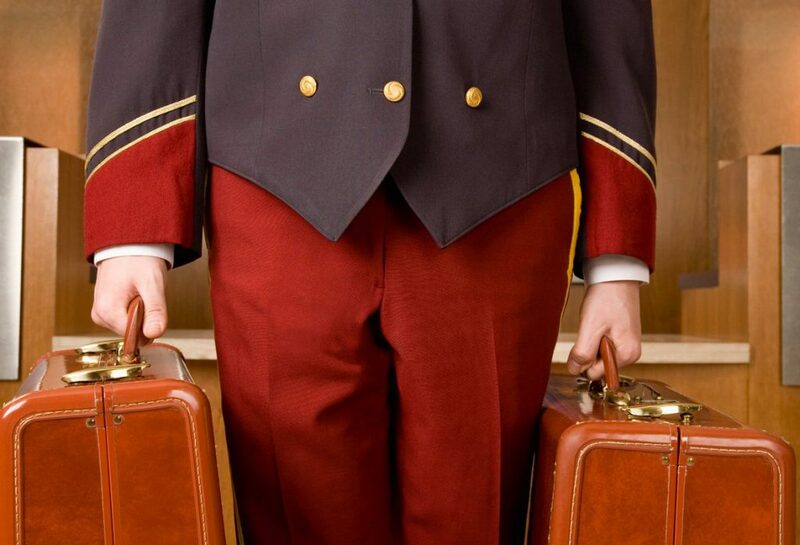 Bellboys must be friendly, responsible and have superior customer service skills. 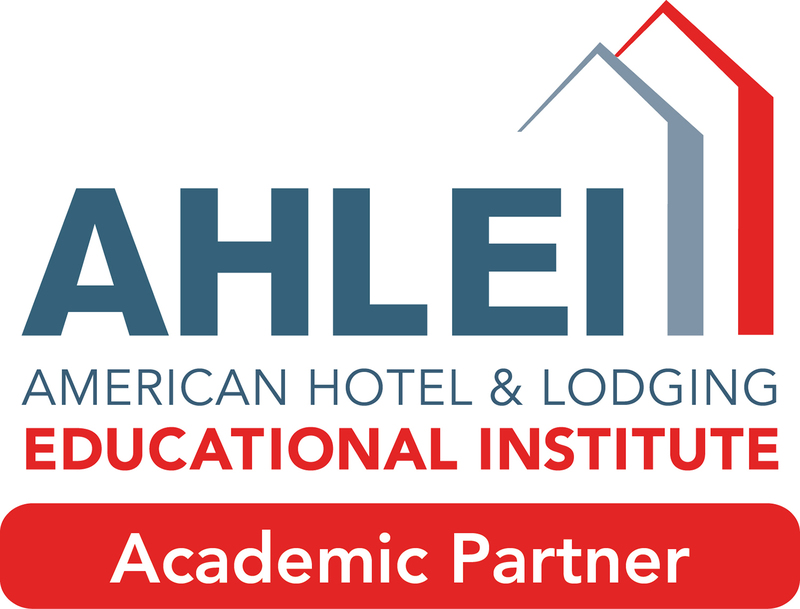 This job is one of the main points of contact to hotel guests, and they tend to needs such as mailing letters, bringing food to guests’ rooms and providing information about local area attractions. When Bellboy not helping guests, he or she may assist in keeping the hotel lobby area neat and clean, this may include picking up or emptying trash, shining fixtures in the lobby. Carrying the guest’s laundry from the rooms to the laundry room. Make travel arrangements for sightseeing and other tours.Receive, store, and deliver luggage and mail. Opening the front door for guests. Respond to bell calls from guests either from the rooms or from where they are e.g. at the door. Loading and unloading luggage from the vehicles that the clients either come in or are leaving the Hotel.